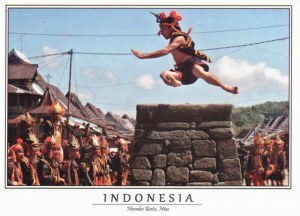 From the age of 10, boys on the Indonesian island of Nias prepare for their stone jump. It's not complicated, and the act is exactly as it sounds. Boys become men on the island by leaping over a stone wall, sometimes as high as six feet.